The first thing everyone should know about tooth whitening or bleaching is that it is almost all the same. 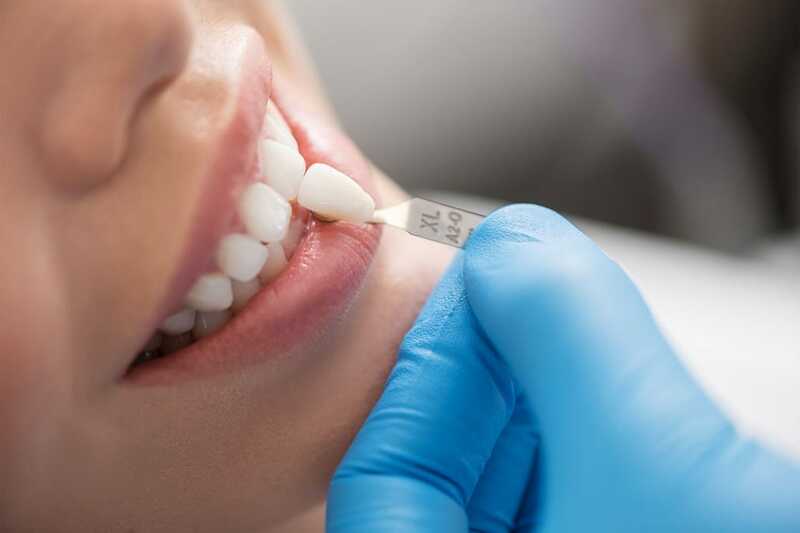 If you are interested in bleaching, I recommend first trying the less expensive, over-the-counter brands; however, if you do not enjoy the “slimy band-aid” feeling of the over-the-counter methods, we do offer custom fit bleaching trays. Some people encounter sensitivity from bleaching; this is only temporary. Bleaching less frequently or for less time each session can reduce the sensitivity from bleaching. It might take a couple of weeks longer to reach the desired effect, but it will be a more pleasant journey. Bleach the top first. If you bleach all your teeth at once, you will not be able to see a noticeable difference and might be discouraged. Some people bleach their teeth a little too much and the enamel starts to be a little translucent. Stop bleaching for a while and your teeth will start to return to normal. Finally, all bleaching should be done before any cosmetic dentistry is done. This included porcelain crowns and tooth colored filling on the front teeth. Porcelain crowns, and to a lesser extent, resins, do not bleach.